One of the Sunshine Coast’s most secluded and unspoilt beach-side precincts, Shelly Beach is coastal living at its finest and historically one of Henzells best performing suburbs. Just two kilometres north of the Caloundra CBD, Shelly Beach offers something for everybody with its mix of residential apartments, stunning modern homes and original beach houses. 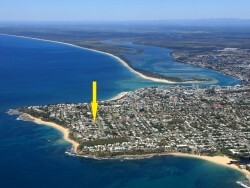 Featuring a beautiful headland with private beach and tranquil ocean-front park, Shelly Beach is a stunning lifestyle destination with the added advantages of being close to shopping and dining opportunities, hospitals and schools, all within approximately an hour’s drive from Brisbane. BEACHSIDE LIFESTYLE! 250M TO THE WATER!